The year is 1793. French Revolutionaries have beheaded their king and are now recruiting American ships to attack British merchantmen in the Atlantic. 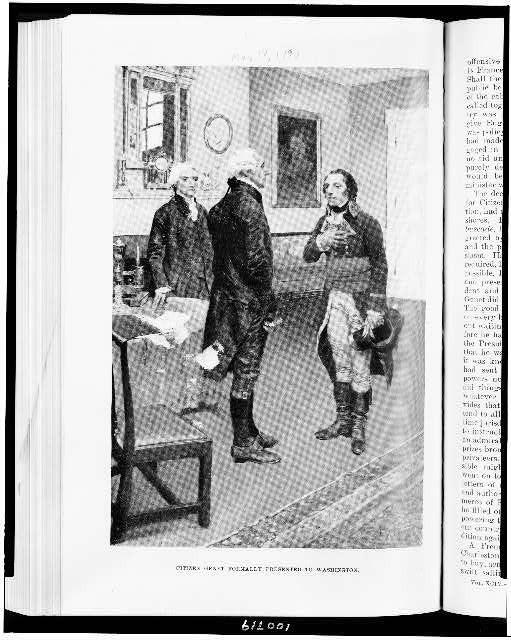 In 1793, barely four years after George Washington took office as the first president of the United States of America, a neutrality crisis threatened to plunge the young nation into an international war. During this foreign affairs crisis, President Washington must decide if he should enforce neutrality, honor the treaty with France, or ask Congress to set a clear policy. Should President Washington uphold America's treaty with the French, even if it means fighting a war for which the new nation is not prepared? Following the execution of King Louis XVI by French revolutionaries, and their subsequent declaration of war on Great Britain, Washington was faced with an almost impossible decision. He could either enforce strict, American neutrality in the coming conflict, or risk a costly war that could destroy the young nation. Several recent developments in both American and Europe led to Washington’s decision. The French Revolution turned more radical when it beheaded King Louis XVI in January 1793. Ten days later, revolutionary France, already fighting Austria and Prussia, declared war on England, Holland, and Spain, embroiling the entire European continent in conflict. Lastly, on April 8, 1793 the new French minister, Edmond Genet, arrived in Charleston, South Carolina. Genet was an instant hit with the American people who flocked in large numbers to greet the ebullient Frenchmen as he made his way north to the capital in Philadelphia. More ominous, however, was the fact that Genet, armed with commissions and letters of marque from his government, actively recruited Americans to fight for revolutionary France. The advisers represented in the Be Washington experience are all based on real-life historical figures from the first president's cabinet, military leaders of the Revolutionary War, and more. Learn more about your advisers in the Genet Affair scenario.